This triple-layered necklace is ideal for your next getaway. 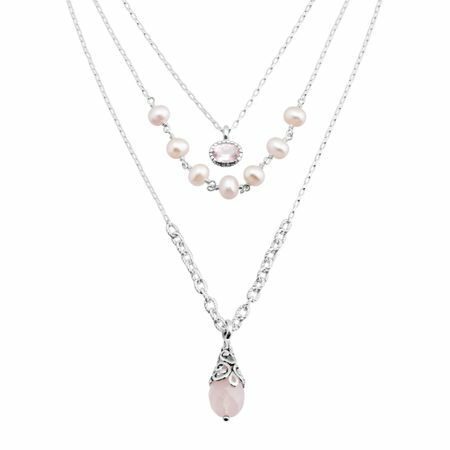 Natural rose quartz and freshwater pearls are an effortless combination that will transport you straight to dreamy tropical paradise. This piece is part of our Balinese Collection, inspired by the beauty of Southeast Asia and handmade in Bali using ancient silversmith techniques. Necklace measures 17 inches long, plus a 2-inch extender for adjustable length, and features a lobster clasp.